This romantic scene was inspired by my summer night walks along the Prague river banks. Behind the kissing couple, there is a famous building named Ginger and Fred alias Dancing House. It is one of the most beautiful modern architectural monuments in Prague. The painting is done in fast strong brushstrokes. 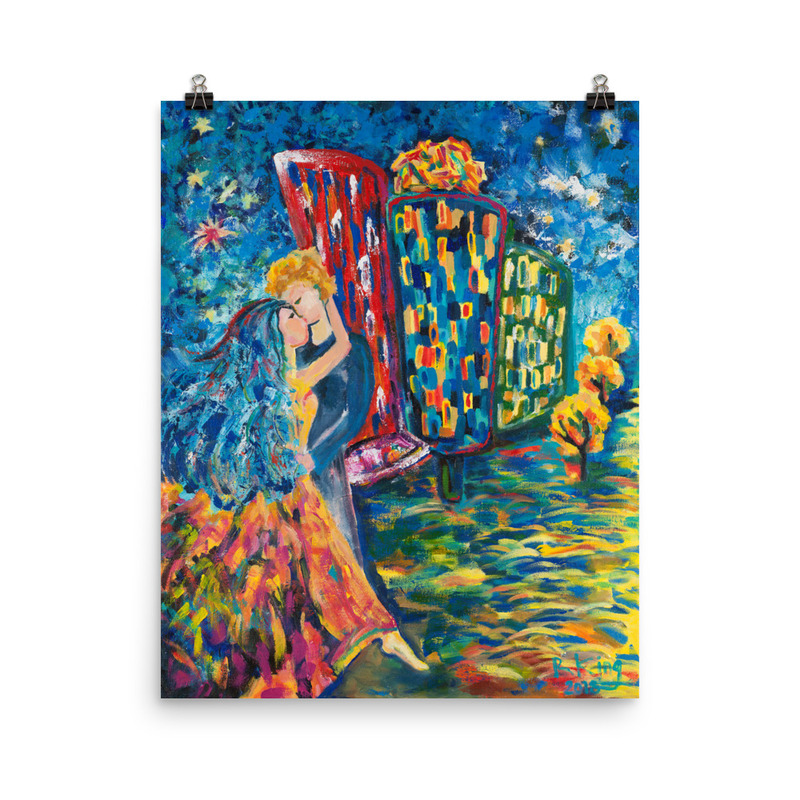 Vivid blue colors dominate the painting symbolizing the night, while the reds, oranges, and yellows symbolize passion of the young lovers. Although this canvas has been already sold you can purchase a print. The matte, museum-quality posters are printed on durable, archival paper. You can buy the print here.